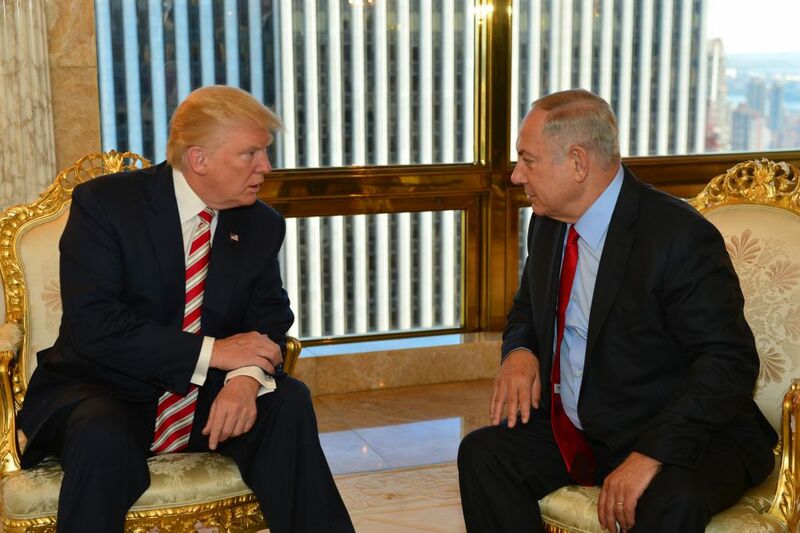 Prime Minister Benjamin Netanyahu with Donald Trump. Making his final campaign stop in the swing state of Florida before Tuesday’s election, Donald Trump said President Barack Obama was a “disaster” for Israel. “We will stand strong, we have to stand strong with the State of Israel in their fight against Islamic terrorists,” Trump told a rally Monday morning in Sarasota. 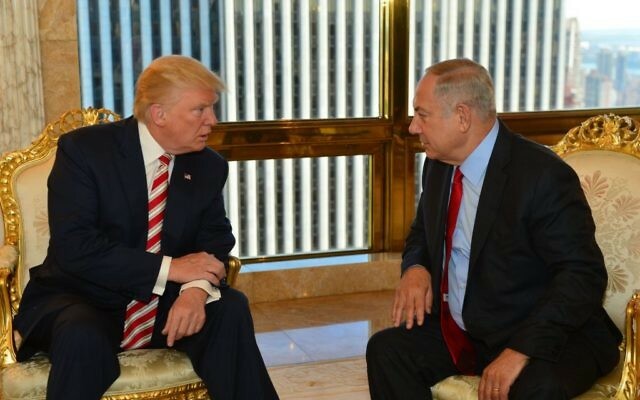 Trump said that if he is elected president, he will work closely with Israel to curb the nuclear threat from Iran. “Believe me, the Iran deal, where we made them rich, we also gave them a direct path to nuclear weapons, but we’ll be working with Israel closely, very closely,” the Republican nominee said. Florida is home to about half a million Jews; the race pitting Trump against Democrat Hillary Clinton is seen as a toss-up. Trump was also scheduled to appear Monday in several key states – North Carolina, Pennsylvania, New Hampshire and Michigan – before returning home to New York.